I was born and raised in Halifax N.S. I have a cat name Kodah and a Quarter Horse Mare named, Bailey. I have always had a big interest in animals since I was young. I took every opportunity growing up to learn and experience as much as I could and was active in the care of my own childhood pets. As I got older it became more apparent in my career path which eventually brought me to where I am today. 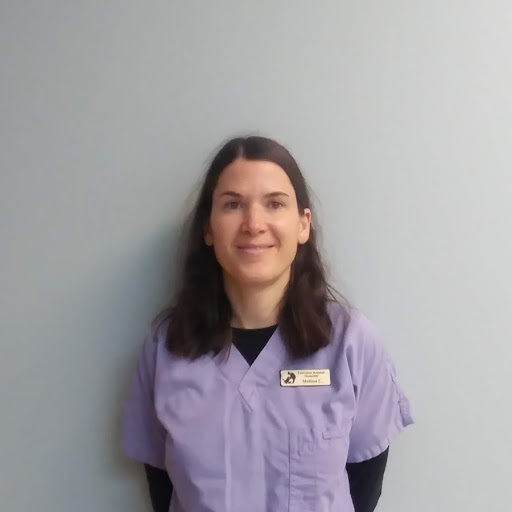 I completed the Veterinary Assistant program in 2005 and began my career with the Fairview Animal Hospital in the fall of that year I upgraded my status to RVT in 2016. I love the different aspects of my job and the challenges it brings. I love to spend the majority of my free time at the barn with my horse bailey, I ride every chance I can get. I also do the odd horse show throughout the year, riding english and western disciplines. When I'm not at the barn it is spent at home with my handsome little boy Kodah.